How Often Should a Church Tweet? One of the great things about Twitter is it is a constant stream of information. One of the bad things about Twitter is it is a constant steam of information …. It doesn’t stop. When you use Twitter to make church announcements realize that Twitter appears chronologically. When I sign into Twitter I see the most recent tweets. Rarely, actually never, do I have time to look at every tweet I miss. Therefore, it is important to get your announcement out more than once. 1. Tweet the same announcement at least 4 times a day. People work and live in different “shifts” so try and accommodate them. I suggest sending one in early morning, one late morning, one midafternoon, and one after 9:00 PM. You’ll catch most that way. 2. Reword it every time. Twitter doesn’t like for you to send the exact same tweet twice so mix it up a little. When you have an announcement that you can build a Web page about always include the link to that page. 4. Start early and build intensity. Start the announcements a good ways out with a few tweets and build frequency as you get close to the date. Twitter can be a great advertising tool for your church of you use it consistently and well. Sometimes you have a difficult time figuring out what to do with your Church Facebook page. Do you put up another announcement? Picture? Video? How about this …. Ask a question. Use the Poll feature to ask a multiple choice question. Ask about your audiences preferences. Ask for their input on a decision. Let them choose a sermon topic. Ask your audience for help in sermon research. If you get the input of your audience it will give them a measure of ownership and investment. This week – ask a question. Recently Mashable posted an article on how church’s use Social Media. One of the interesting statistics on the infograph was that churches reported Social Media as their #1 outreach and communication tool. That feels like a misleading statistic. The confusing part is that it ranked ahead of “knocking on doors”. Now, if Social Media is your #1 communication tool that makes perfect sense. Between Facebook, Youtube, and Twitter you can communicate your message and reach a high percentage of the congregation. Social Media has supplanted the traditional means of church communication – the weekly bulletin, stage announcement, mail, etc. However, Social Media cannot replace a church’s outreach efforts. Very few churches are using Social Media and seeing people come to Christ. Social Media can compliment the message but it cannot be the church’s sole method of delivery. Use Social Media to communicate. Use Social Media to do Outreach. However, add it to the arsenal – do not let it replace the arsenal. Chicken hysteria broke out Wednesday as people from all over the U.S. flocked to their local Chick-fil-A to support Biblical marriage and the right to free speech. Former Governor Mike Huckabee, tired of the continuing rants against Dan Cathy for his statement of support for Biblical marriage, called for Chick-fil-A appreciation day on August 1. Although I have not seen the official numbers yet it was, without a doubt, a huge success. The Chick next to the office was so busy that cars were wound around the building and down the street. That scene repeated itself over and over again around the nation. Many restaurants ran out of food before the day was over. People waited in long lines, for over an hour at some locations, during the peak. The chicken is good – but it is not that good! People were waiting in line to make a statement more than they were to get some nuggets. So, why did that work? It seems that the Christian community tries to rally around topics and are completely unsuccessful most of the time. 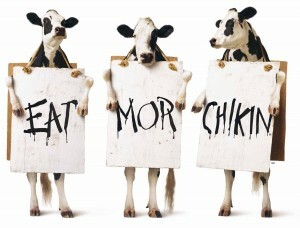 How did the Chick-fil-A event garner a flood of support. Trust is important for any movement to succeed. We want to trust the people leading and rallying us. In this case, we trusted two very trustworthy guys – Mike Huckabee and Dan Cathy. Huckabee has been a Pastor, Governor, presidential candidate, and now a talk show host. All of those positions scream trust to the American people. Dan Cathy is the CEO of a very successful and generous chain of restaurants. He gives much to charity, teaches Sunday School, and does a host of other things that say “trustworthy”. For any movement to take root trust is an important factor. When Huckabee called for the show of support he mentioned it on his radio show and on his television show. The truth is, I do not normally listen to either one of those shows. How did I find out? Twitter. The idea went viral on Facebook and Twitter. Not thousands, not tens of thousands, but hundreds of thousands of people engaged, commented on, and shared the idea. Before the age of Social Media it would have been near impossible to pull off an event of this magnitude in that short amount of time. You couldn’t have spread the word fast and clear enough. But with Social Media, ideas and information spread quickly, accurately, and virally. 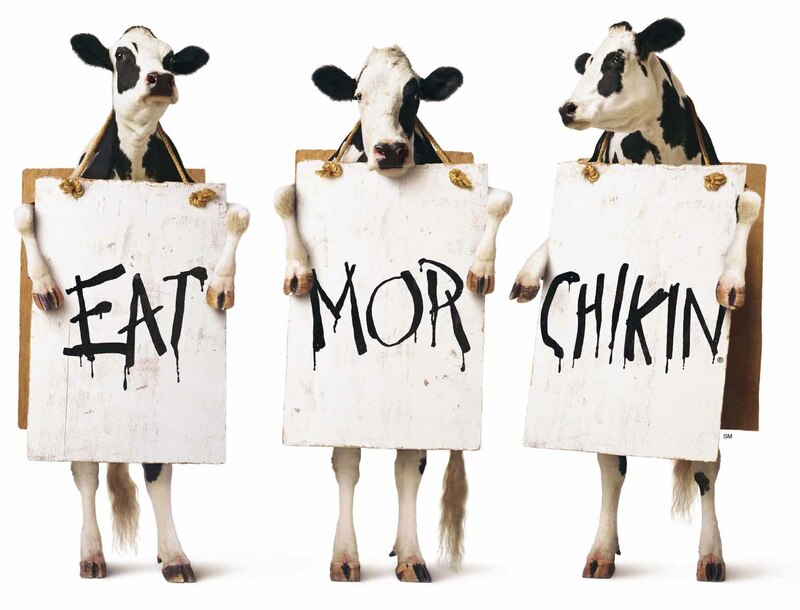 The idea was successful because it called for a simple action – visit the Chick-fil-A of your choice on August 1.No complicated directions … no tedious instructions. No one asked me to do something that wasn’t within my normal routine of activity. I eat most every day. So, all I had to do was make sure that I ate at the right place.If a movement is to gain momentum it will only be with simple instructions. Complexity ruins a movement. Finally, the idea became a movement because we had the opportunity to be “pro” something. It seems that the Christian community enjoys being against a lot of things – and we should. But, this was an opportunity to cast a vote in the positive. We weren’t boycotting something -we were supporting something. We like to add more than we like to subtract. We like to add more than we like to subtract. A recent study suggested that young professionals value access to their smartphone and Facebook more than money. Millennial’s want more than money – they want access to their network. How does this effect your church? It means that using, and encouraging the use of, these tools means a lot to a younger generation. Instead of bemoaning the use of mobile devices and social media a church should encourage their use. Connect with people where they are and they are on their phone and Facebook! ….the list could go on and on! Take a moment and rate how friendly your church and church service is to mobile devices and Social Media. You might improve your outreach to Millennials by doing so! And, leave your suggestions below…. 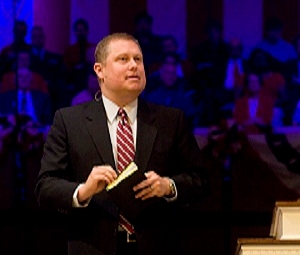 Yesterday I attended North Metro Baptist where Frank Cox is the pastor. Since Thursday night Team Impact had been conducting an evangelistic event and over 120 people had received Christ so far. One family told me they brought their son’s ball team and the entire team, plus some parents, trusted Christ. It was a great event. During the service last night the team took a social media moment and told everyone how to connect with them on Facebook, Twitter, and YouTube. It is something every church should consider doing on a regular basis. The team mentioned their YouTube channel and “teased” the audience with what was on there. It was a “I’d tell you if I could but you just have to see it” kind of moment. I checked out their channel. Here is a video from their channel below. Their YouTube channel is excellent. Check it out for some ideas for your church. It used to be (it may still be at your church) that there was a sign hanging on the door that asked you to politely turn your phone off during the worship service. And, years ago people complied – well, almost everyone did. There was always one person who did not turn theirs off and that pre-set ring would go off at exactly 12:00 sharp and it would take the person the entire invitation to find their phone to turn it off. You know the one. Anyway, it was that we wanted people to unplug during the worship experience. That was yesterday – this is today. Today, we do not really want people to unplug – we want them to be plugged up and plugged in during the worship service. Now there is a generation that could not do church without their electronic device. When they bring their device to church they are bringing their Bible, commentary, worship music, sermon note taker, diary, calendar, contacts, camera, and social device with them. People are using their mobile devices like never before to help the do life! In my opinion we shouldn’t fight it – we should tap into it. Have portions of the service where you are asking people to use their mobile device and then ask them to go silent for a few minutes. Instead of putting your outline in the bulletin what if you put snippets from your sermon that could be broadcast on Facebook and Twitter? What if during a portion of the service you encouraged everyone to post 1 snippet to their network? You would ensure that your message was getting out to people who had never been to your church. 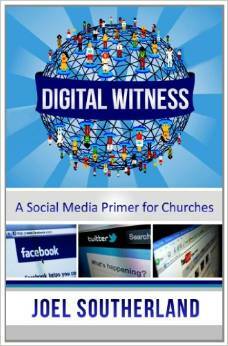 You would be helping your people be a digital witness. Ask people to take pictures of their day at church and to post them on-line after the service. They could get their small group to pose for a shot. A staff member. A friend. When you tag people in pictures on Social media the effects can be multiplied. 3. Take your Ipod and open to …. It is OK for people to use their device to read the scriptures. YouVersion even has a way you can upload your sermon notes online for people to view during the service. I do not mind for people to read on their phones because I know that wherever they go that week their Bible will be with them. Those are just a few of my ideas…. if you have more share them below. The research is in and teens are flocking to Twitter. One recent study found that as many as 16% of online teens were using Twitter and girls age 12-17 were twice as likely to be using Twitter as boys age 12-17 (22% vs 10%). The reasons are probably many on why this would be the case. Teens may just be experimenting with a new social media; they may belooking for a site their parents aren’t using; they may be finding it easier to follow their “stars” on Twitter; they may like the privacy Twitter users enjoy. Whatever the case, if teens are on Twitter, the church should be too. Why? Religious and church activity is on the decline according to Barna in at least six key areas. That being the case – we need to go where teenagers are – and they are slowly moving to Social Media and Twitter. If you are in ministry (Pastor, Student Pastor, Small Group leader, etc) and you are interested in reaching students – here are three things you can do. Sounds simple enough doesn’t it. By following that teenager you are letting them know you value them. It is a sign of respect in the Twitter world when you follow someone’s updates. If they follow you back send them an @reply “Thank you”. Engage them in Twitter conversation on a consistent basis and encourage their walk with the Lord. Find out about their world and don’t just have a one way conversation. Use Twitter to provide resources to help them in life. You might mention them in a “Verse of the day” or a devotional you follow on Twitter. Put things in your status updates that will apply to their lives. Use Twitter to connect with teens and you might reach more for the Kingdom. CAUTION: Treat all of these relationships just as you would an in an off-line setting. Avoid private messages. To the best of your ability stick to like gender. Do not get over your head. Keep your spouse updated on all activity. NEVER do anything inappropriate. 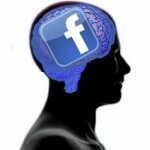 Recently a study revealed that people on Facebook have more brain matter. Scientists have found a direct link between the number of “friends” a person has on Facebook and the size of certain brain regions, raising the possibility that using online social networks might change our brains. So, if you needed a reason to spend a little time on Facebook there you have it! Assuming all of us have unchurched friends on Facebook here are some Spiritual things you can do on Facebook to help grow your brain! Why not create a private list on Facebook and put people in it who do not go to church or who are not believers and spend time everyday reviewing their status updates and praying for their salvation. You might be able to pray specifically for a life situation someone is going through that God would use it to bring them to (or back to) Christ. When you spend time on Facebook why not keep a journal with you and jot down prayer requests when you see people going through difficult times. It is surprising how much people share on Facebook – even detailed health information. Send them a private message and let them know you prayed for them that day. Instead of putting out a status update that says, “I go to XYZ church and would love for you to visit with me”, why not send a private and personalized invitation. If you spend time on Facebook praying and inviting people to church there is a good chance you will make an eternal impact in someone’s life and get a bigger brain in the process! This weekend we all heard the news of the tragic death of Whitney Houston. It was the case of a life gone awry – one that any good preacher could pontificate on and make some great applications to the audience. I’ll save that for another day. If you are a member of my generation and a sports fan there is probably one Whitney Houston moment that stands out above all others – the 1991 Superbowl. The Superbowl between the Giants and Bills was amazing enough in its own right. The 20-19 win by the Giants is the only Superbowl decided by 1 point. It is commonly referred to as the “Wide Right” game as Buffalo kicker, Scott Norwood, missed a last second field goal that would have won the game. It started a string of 4 Superbowl losses for the Bills – a memory they still cannot live down. However, the greatest moment may have come before the game started when Whitney Houston sang the National Anthem. Ten days before the Superbowl Operation Desert Storm had started and America was in an all out war with Iraq. If you weren’t at least a teenager then you probably wouldn’t understand the tension surrounding the war. There was genuine concern in America on the outcome of the war. We had heard stories of a giant military, sophisticated weaponry, and possible nuclear threats. Now, none of that materialized, but at the time no one knew for sure. So, when Superbowl XXV started we had been engaged in an all out war for 10 solid days and the sense of angst, combined with patriotism, was at an all time high. Whitney stepped on stage and delivered a rendition of the National Anthem that was legendary. And, here is the amazing thing – the moment was captured on video and you can watch it below. There is great power in video. I watch it now and still get teary eyed when I do. What does this have to do with Church? Social Media? Ministry? Video is important for the church because it can have the same effect oftentimes. Here are 3 good/quick reasons to have a YouTube channel for your church. Nothing captures the moment like video. It’s the closest thing to real life we have. You can describe it. Write about it. Remember it. Nothing seizes the moment like video. It’s why parents spent hundreds, and sometimes thousands, of dollars on video cameras when they were first introduced decades ago. We wanted to capture that moment with our children that we would remember for a lifetime. You have moments at church as well. A service, youth retreat, salvation, event, revival, celebration, building dedication, children’s event, etc. Capture the moment on video and let everyone relive it over and over. I still get emotional when I see that video and remember the era. Nothing does that like video. It doesn’t have to be a tear you are trying to capture. It can be joy, laughter, tears, fear, sorrow, excitement, etc. Video has the ability to stir us like nothing else apart from real life. Memories fade. Dull. Lesson. I can’t say that YouTube will be around forever but here is what I know. I got to watch Whitney perform the National Anthem 21 years later – not just try to remember it. When you capture something on video the people who missed get to watch and the people who experienced it get to relive – for a long time to come. So, watch the anthem below and know why you should start a YouTube channel at your church.